Shepton Mallet Prison’s Last Stand | Don't mention the M word! January 2nd 2017 is the deadline for feedback on the latest plans for Shepton Mallet Prison. The prison was sold in January 2013 in a bid to save £63 million a year in running costs across six prisons. A timeline of the prison sale has been published here. Below is my objection to the latest plans, which I hope will encourage more people to give their voice (for or against) the proposals for the future of Shepton Mallet Prison. Planning Application Reference Nos. 2016/2485/FUL & 2016/2486/LBC Shepton Mallet Prison. I am objecting to the updated plans for Shepton Mallet Prison. My reasons are outlined below. When the prison closed in 2013 the sale was in reality a bundle of four prisons, therefore any local (or regional) angle or community-led vision was put at a disadvantage.At the point of sale (of the prison) there was no community consultation with local leaders and the local community to grasp the opportunity of having a windfall heritage asset. Government planning guidance for historic buildings states that the optimum viable use isn’t necessarily the most profitable one. It is the one that is best for the conservation of the asset. The planning committee needs to ask if this Government advice has been followed throughout the process of the prison sale, through to planning ideas from the new owners City and Country. The new prison owners asked for ideas for the future use of the prison – during a consultation period – knowing that all ideas would lead to a dominant residential build as that is what they do, what they know and what they told us they can only do.Providing a questionnaire with tick boxes does not amount to giving people the opportunity to drive forward an alternative solution for the prison buildings. This consultation simply divided opinion. There has been one avenue for the future of the prison since it was sold, never a chance for a community vision that aligns to the district council’s own vision for the town.City and Country representatives told me that their prison conversion plans have never been attempted at this scale in Europe. Are they then taking a risk in what they are attempting to do with Shepton Mallet Prison? Since its closure the prison has continued to show its potential with demand for film shoot locations, organisations wanting to use the space for events, including heritage tours. When the site is turned into flats such uses of the prison will cease, which is a wasted opportunity in my view. The main change to this planning application seems to be an increase of parking spaces by 28 places, which is still considerably short of the Council’s own parking standards. Does this mean parking standards aren’t necessary and developers can simply ignore them? The location of the prison, the buildings themselves, the costly intervention to turn the building into residential units are clear reasons why the planning permission should be denied in my view. I believe the decision the planning committee is taking (on our behalf) is not just one that will impact Shepton Mallet, it is one that affects Somerset and the wider South West. 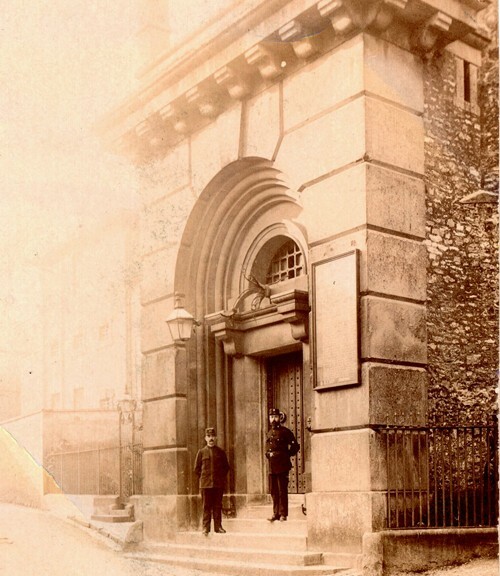 As one of the most ancient prisons in the country Shepton Mallet Prison has international significance as well.City and Country’s plans will erase history, turning unsuitable building into homes. Mixed use for the buildings – including some residential space – may be a solution, but more commitment must be given to preserving the history of the prison and what I believe will follow will be economic regeneration, which I have seen happen in other areas that have had a vision with the courage and commitment to drive forward. Previous PostAfter the story ends – a review of Tree House, Strode Theatre Studio, November 16th by Claire de SullyNext PostBuy a prison flat – but don’t bring your car. please append my full name to previous post. nder is a mistype.